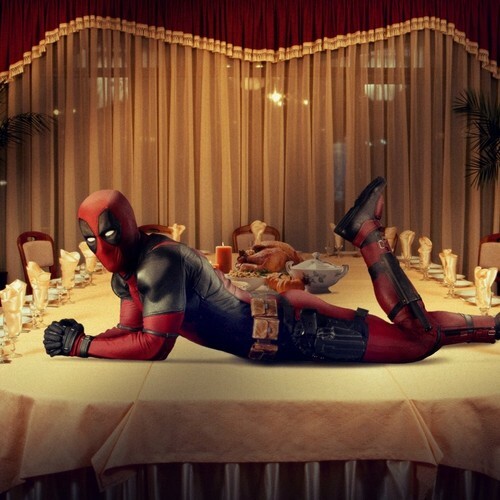 Deadpool's Thanksgiving Photoshoot 2015. Deadpool wishes those who celebrate Thanksgiving a happy day!. HD Wallpaper and background images in the Deadpool (2016) club tagged: deadpool 2016 movie film ryan reynolds thanksgiving photoshoot promotional photo. This Deadpool (2016) photo might contain ファミリールーム, ファミリー ・ ルーム, リビングルームリビングルーム, リビングルーム, 前室, 応接室, パーラー, フロントルーム, リビング ルーム, フロント ルーム, サロン, 応接室, and 引き出し部屋.